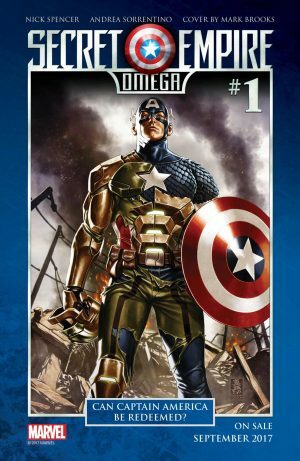 Marvel Comics Legacy & Secret Empire #10 Spoilers: 2 Captain America In Secret Empire Omega #1 & Marvel Legacy #1? Generations 1-Shots Matter? 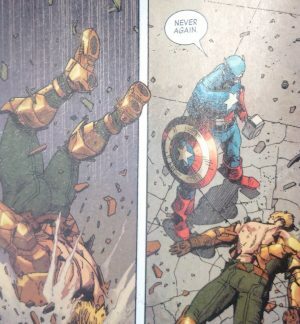 Marvel Comics Legacy and More Secret Empire #10 Spoilers follow. 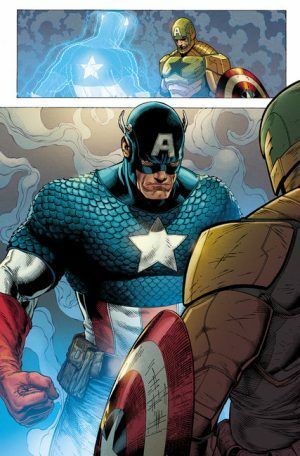 In addition to what is discussed in this piece, there are some other rather interesting developments in Secret Empire #10. (c) The heroes start visiting the Vanishing Point to enable the Generations one-shots (spoilers here); and. 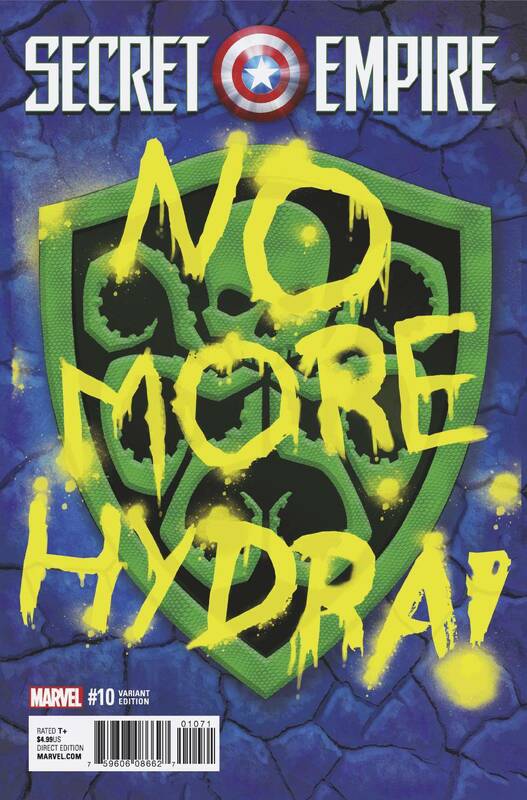 (d) The reveal of the cunning plan by Sam Wilson and Bucky Barnes to defeat Hydra Cap (spoilers here). Marvel Comics have let the flood gates open with their spoiling of the end of Secret Empire #1 in the New York Times. Several pages and parts of Secret Empire #10 are seeping onto the internet today. I won’t spoil the full issue for you, but springing from Marvel’s own spoilers, will discuss the nature of the book’s two Steve Rogers and what that means for Secret Empire Omega #1 and Marvel Legacy #1. 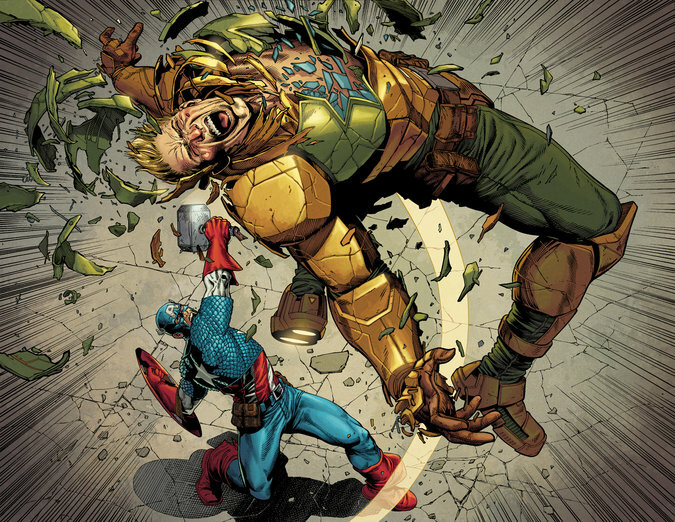 …the figment or Kobik’s American dream Captain America beats Hydra Captain America. With those pages many have debated on social media which Captain America / Steve Rogers is real. Kobik’s idealized memory of Steve Rogers or the corrupted Steve Rogers with actual DNA. Well, Secret Empire #10 does differentiate the two without answering this question. The Winter Soldier hatches a plan to somehow have Kobik become whole again in the real world hoping she still has a memory of the real Steve Rogers with her. Kobik does enter reality and she brings a now clean shaven idealized Captain America with her. Even the real Captain America, head of Hydra, comments on Kobik’s Cap not being real to which Kobik’s Cap notes that reality is “up for grabs” now for whatever that means. …leaving two (2) Captain America / Steve Rogers heading into Secret Empire Omega #1. 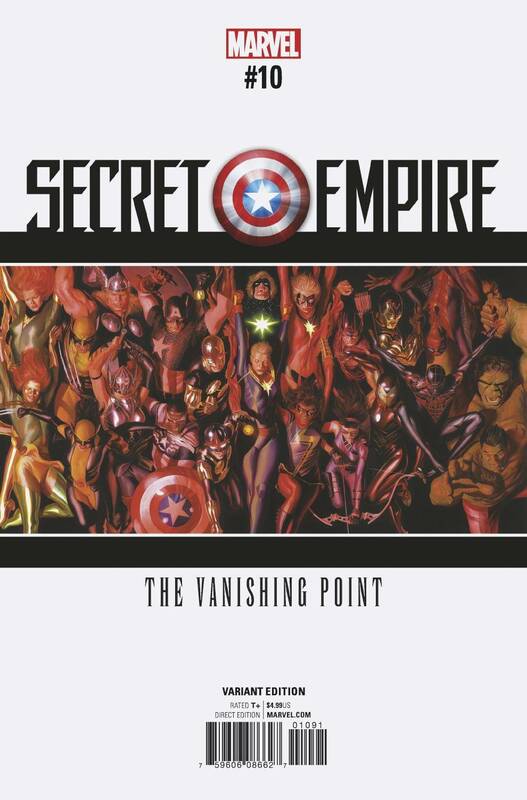 …merge her memory of or figment Captain America with the real and corrupted Captain America. 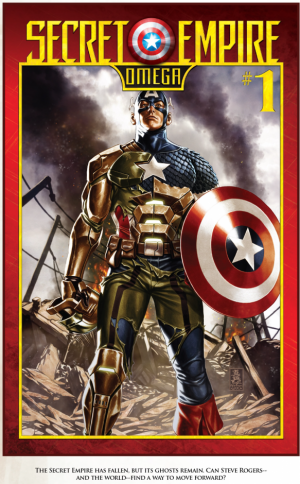 There is no other way I can think of to explain away that cover to Secret Empire Omega #1 that shows a classic Captain America breaking out of the Hydra Captain America armor. 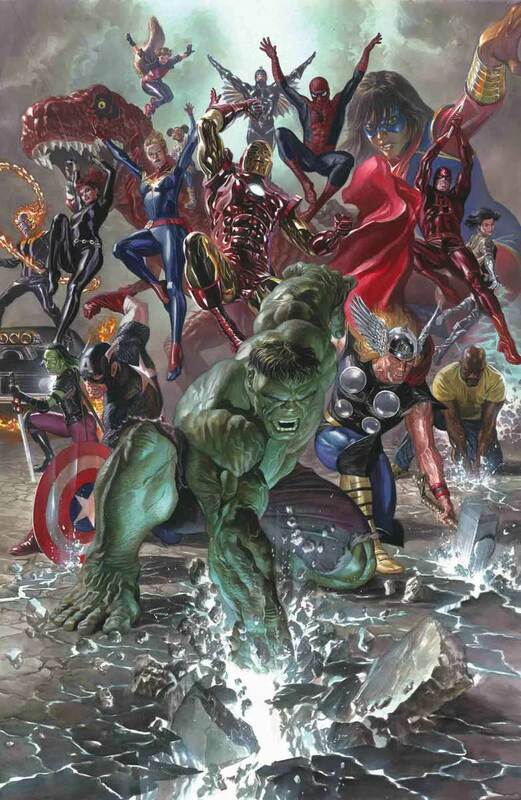 All that said, it is also possible that Secret Empire Omega #1 will end on a cliffhanger heading into Marvel Legacy #1 – making the cover to Secret Empire Omega #1 also the book’s cliffhanger (Marvel has done that before) – which will likely explain why we also have classic or idealized versions of Thor, Hulk and Iron Man join classic Captain America in Marvel Comics Legacy. 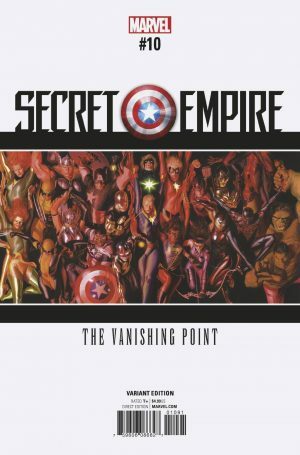 Presumably, Secret Empire Omega #1 or Marvel Legacy #1 will explain why the Generations one-shots matter and what the Vanishing Point is. Perhaps the modern Marvel heroes / heroines bring back some stowaways a la All-New X-Men which saw the classic teen X-Men join modern day Marvel. Secret Empire #10 is an interesting that sets up future reading of Secret Empire Omega #1 and Marvel Legacy #1 at the very least. Not all plot threads are resolved in Secret Empire #10 after all.